Caritas Creek provides environmental education oriented camping services to youth in the Bay Area. 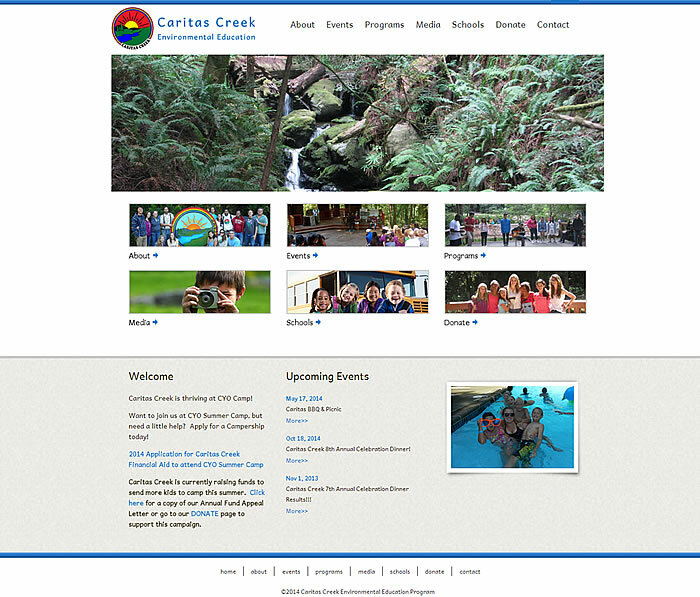 Caritas Creek came to Techeffex to update their old site both in terms of content and quality. 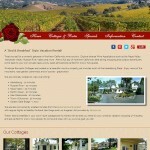 We suggested a responsive design technique that would allow their site to look good on any platform. They were also looking for a way to maintain their own content but were concerned about the steep learning curve associated with open source CMS systems like WordPress, Joomla and Drupal. We created a simplified custom CMS that provided only the editing functions they needed and not a bunch of extras that just get in the way. We started from scratch replacing their old existing site with a modern responsive design, capturing the “summer fun” feeling of the organization while providing the detailed information site visitors were looking for. In addition, we installed a Paypal based Donation page allowing visitors to easily make donations with a couple of mouse clicks.